Thread: What's the next big thing in custom PC's? Actually, I don't. I'd gotten a mod here to help me log in to my old account.........something I was not able to do in the Steam forums. But I'm still the same guy had verying degrees of 'disagreements' with various nVidia fanboys here. last one that made me quit was OpStar (I thought he was a friend, but I guess he was having a bad day when we argued), hadn't stepped back here for years after that. But when I did wanna come back (like 2 years back), this issue of password and email address cropped up. Still, I'm happy to be back and hoping to see more of the familiar Sharks here. I had to dig up an old AOL email account I had forgotten existed. Apparently I'm just a sucker for my old yahoo accounts. Good ol' secure yahoo. No breaches here. Everything is perfectly fine. And the old flame wars. Ah, I remember them like they were yesterday. Good times (usually). What on Earth was everyone thinking back then? BTW: I love the old system in your sig. Ah, good old days.....mine was usually involving AMD (ATi) vs nVidia, some were fun.....others, not so much I'm afraid. Guess I should have mellowed out by now since I'm past 55.....yes, an old man already. I'm in my late 30s now. I have a live and let live attitude these days. You only get so many orbits around the sun so you might as well use the computer hardware that makes you happy. I honestly think a lot of the contention from back then drew from lack of funds. When you're young, a video card is something you have to save up for. You make the best choice you can make, and hope to hell you were right. It puts people in an adversarial mode when they talk about it. 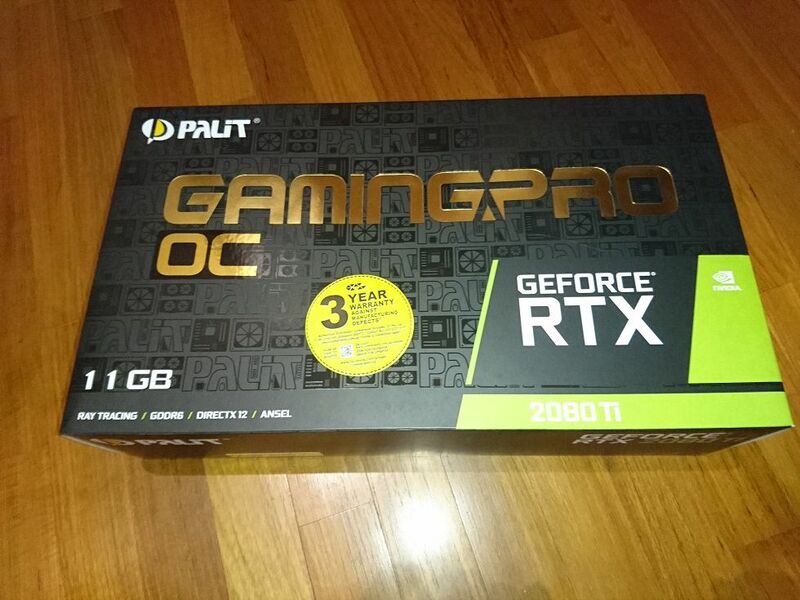 I actually bought a Palit RTX2080 Ti Gaming Pro OC at launch, had some fun with it but sold it off due to my lack of faith in RT and DLSS......I don't believe it'd be widely implemented in games. And to some degree, I do agree with you in that when you save up money for a GPU (AMD or nVidia), you tend to get defensive when others take it upon themselves to criticize your choice. Back in the good old days here when I was still posting here actively, I dabbled with both AMD and nVidia cards, even ran a pair of GTX Titan in SLi mode a while back.....and like last time, my preference is AMD. Funny thing though, I find myself willing to throw down money for GPU's, but have been putting off a platform upgrade to a newer gen CPU/mobo/DDR4. I still believe my CPU's are quite capable of handling games so I find myself constantly putting off any thoughts of upgrade.....except when it comes to GPU's. I love my VEGA II and VEGA 64's.....and the GTX1080 as well. I was running a 980TI since it launched after coming from a 770 4GB SLI setup. I skipped the entire 10-series upgrades. I ended up getting a 2080 at launch, and while I've enjoyed the frame rate in regular games, I've been pretty disappointed too. The price felt high to me, and while BFV looks nice, it's frame rate is gimped pretty bad using raytracing. The Radeon VII is looking really good, and the RX580 at $180 is a rock solid value card. Thanks. I actually still have both of those boxes in my house. Much to the wife's displeasure. Yeah, I'm in my mid 30's now. Crazy to think how long it has been (that join date sure puts things in perspective - as well as looking at old posts of mine... yeesh). And as for the flame wars, I think some people just like having things to argue about - coupled with the majority of us who were young and did have a serious lack of fundage. And all that talk about video cards - now you're making me doubt myself. Currently thinking about building a new system (still using a gtx 670 - and man is it showing its age), and no real idea what to get. Last edited by schultz; 03-28-2019 at 03:03 AM. @schultz, that's quite dependent on the res and games you play. Assuming that the rig you're building is sufficiently recent/new, and at least a 4C/8T or 6C/12T CPU, RX 570/580/590 or GTX1660/GTX1660 Ti, or at the very least, a GTX1060....these are good for 1080P gaming, with the GTX1660 Ti and perhaps the RX590 for up to 1440P. Now, IF you want 1440P on a 144Hz monitor, then I'm afraid you're gonna have to pony up more dineros. And IF you don't mind used, there's a good number of higher end last gen cards that can fit a certain budget. 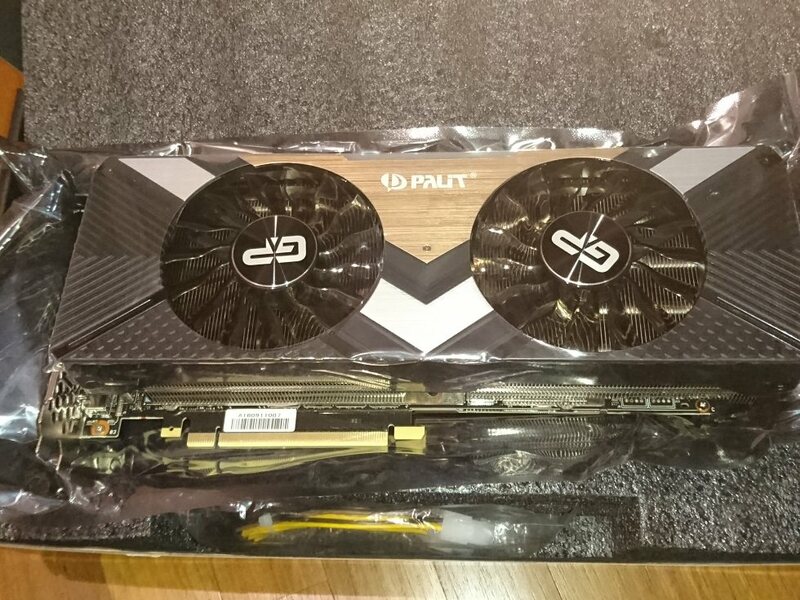 I'd gotten my GTX1080 used, seller was honest about it....used as a mining card for 6 months before I'd acquired it. Doing a damn nice job handling many newer games, even AAA titles like Metro Exodus @3440x1440P at Ultra (disabled Tessellation), runs quite nicely. As Mike said it's res and desired frame rate. If you want 4K gaming you're going to have to go big, expensive, and fast if you don't want to use scaling. If all you're looking for is 1080P then even an RX570 will do nicely. Definitely aim for a system that has more than 4 threads. I was CPU bound even on GeForce 770 in BF1 due to only having 4 Cores 4 Threads. Again to reiterate Mike, if you're looking for high frame rate or high refresh gaming you'll have to go for a bigger card than you would for a normal resolution. Currently I play BF1 at a mostly locked 120FPS, 1440P, Ultra but it took a 2080 with a 5GHZ 8086K to get there. A 1080ti would also put you in that category as would an R7. BFV on Ultra with medium Ray Tracing runs between 60 and 80. It's a good number but once you're accustom to 100+ FPS it's hard to go back. As far as used cards go, I've had good luck. I got an Sapphire Pulse RX570 mini-itx card for $90 including shipping the other day. It was a previous mining card, but had no modifications such as BIOs or hardware hacks. It's cleaned up and runs great. I paired it with a 3770K and an older 720P HDTV for rock solid 60FPS Ultra gaming all day long. Since I'm sitting at living room length from the TV (Family room system), the 720P resolution looks perfectly great. Last edited by Fiero; 03-28-2019 at 11:17 AM. See, that's all good info to know. And helps confirm what I was thinking. I'm looking to go higher end and build a whole new machine - especially with the desire to move up to 144Hz (and possibly that at 1440P). With my normal upgrade cycle of very slow (5+ years, oftentimes), I also have a tendency to want to buy on the higher end just to keep me rolling longer. Probably stick with my initial thoughts of going with a 2080 (ultimately will depend on what all I put together, and how much I actually want to spend).